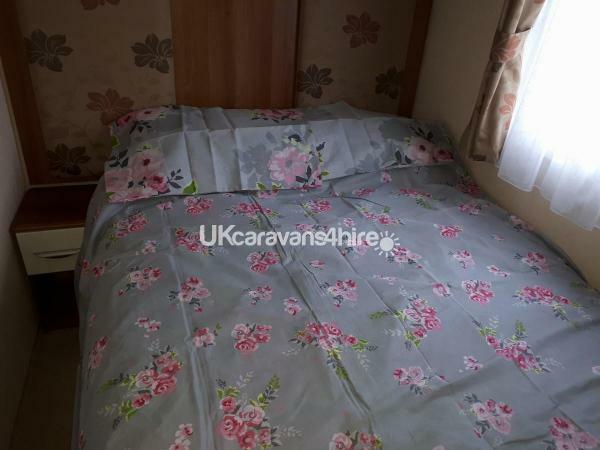 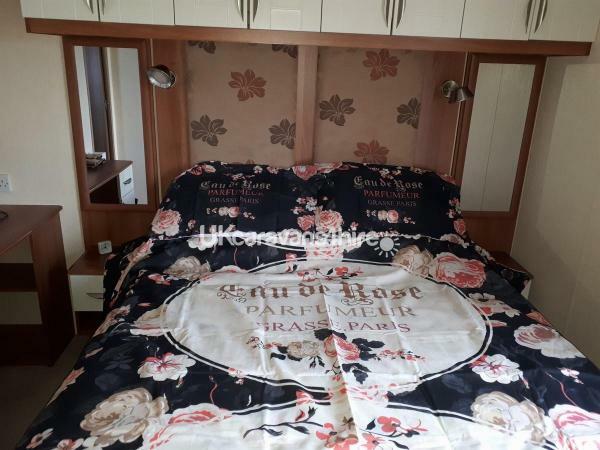 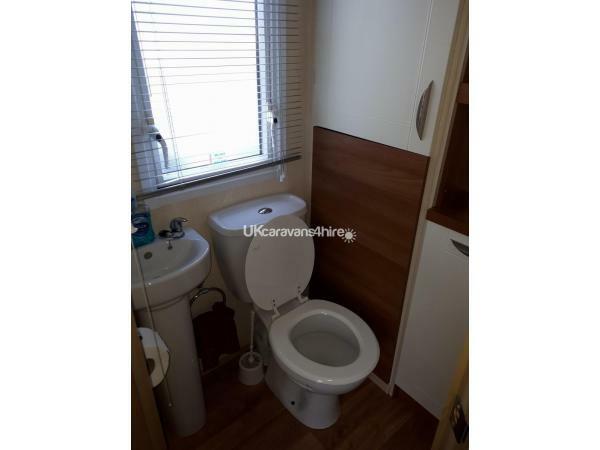 6 berth caravan for rent 2 rooms, 1 king size bed en suite, 1 room with double bed, there is a small double portable fold away bed for the living area. 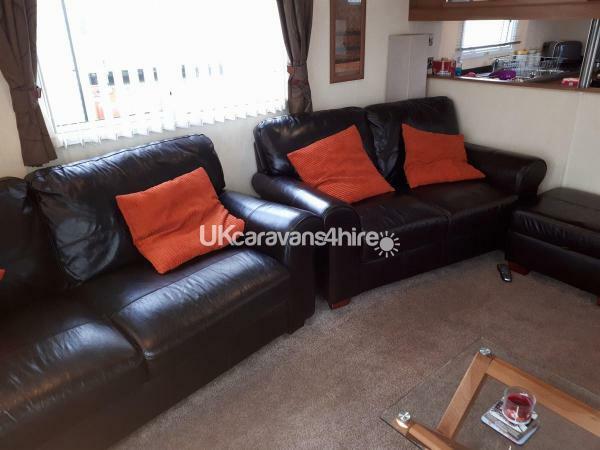 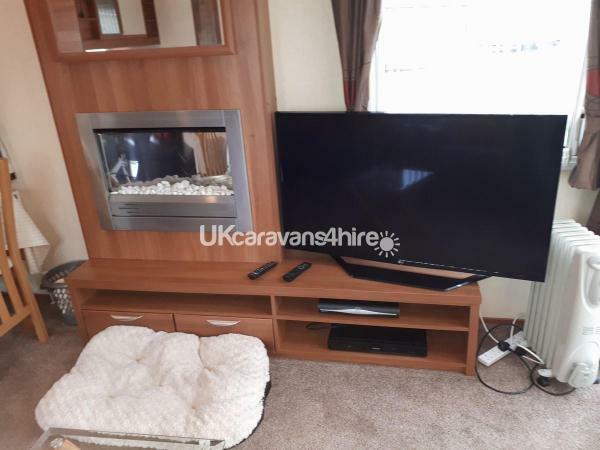 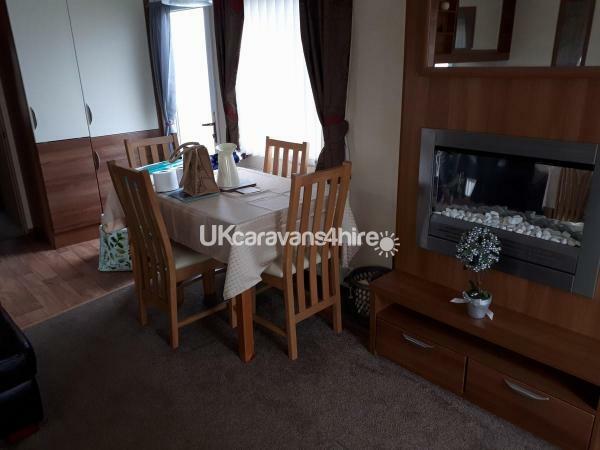 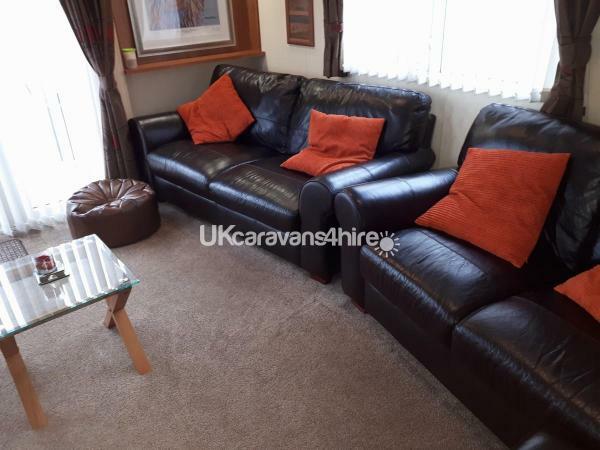 The living area has 2 large leather settees 55inch TV with sky TV decked to the front with seating area, full fitted kitchen, second toilet with shower, all beds will be fully made up you just need to bring towels, off road parking. 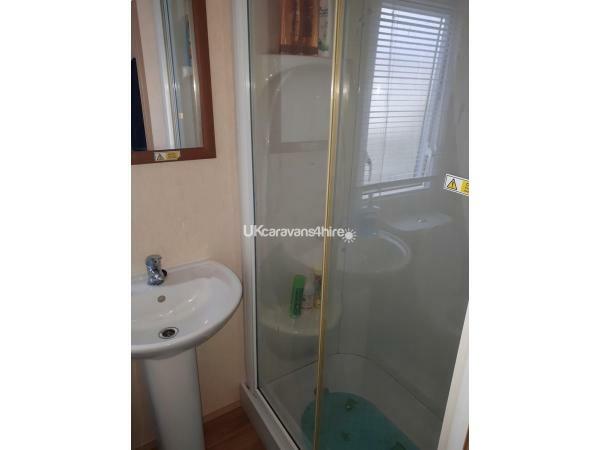 We loved this caravan as soon as we saw it. 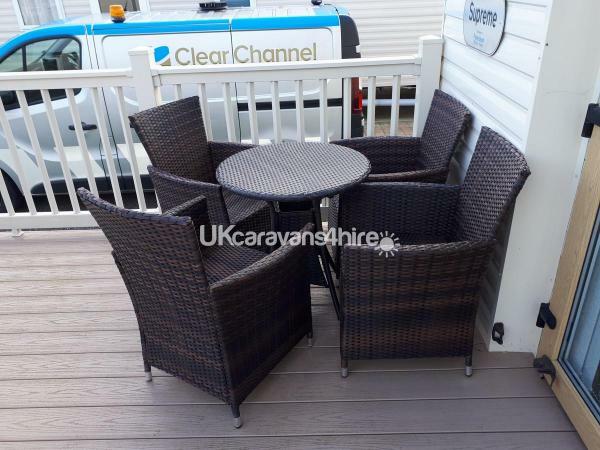 Absolutely spotlessly clean and has everything you need for a lovely holiday. 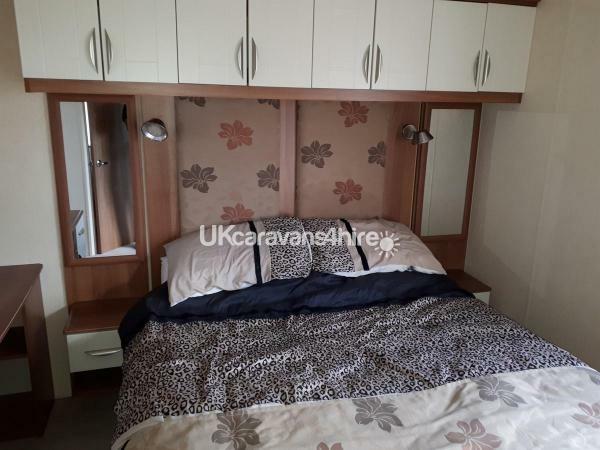 The van is in a great spot, a short walk to the centre of the park and close to the beach and all amenities.Lovely, comfy beds, an amazing shower and a lovely sitting room ... a proper home from home. 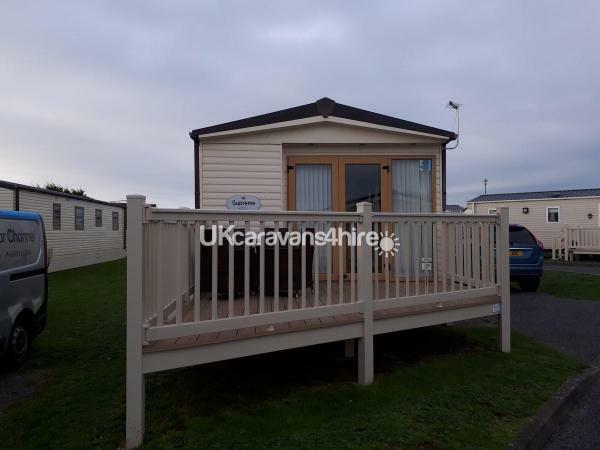 Dave and Andrea made this an easy, pleasant process and were so helpful and welcoming. 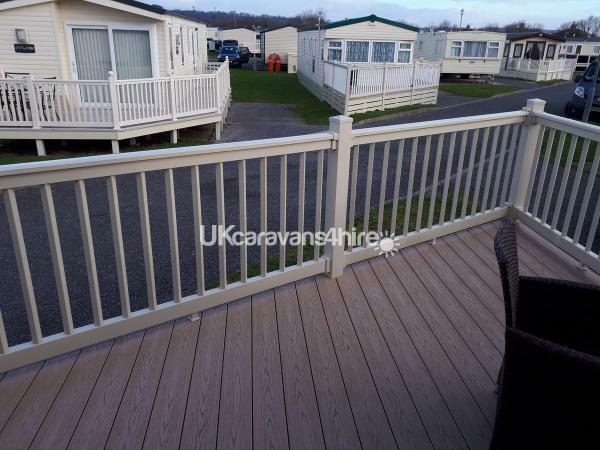 We wouldn't hesitate to book again and are already making plans....highly recommended.